Here's the latest music from the most mysterious new artist on Monstercat, it's PYLOT. He has an awesome nu-funk style on this track "Flashbacks" and his story is furthered a bit more with a second journal entry. 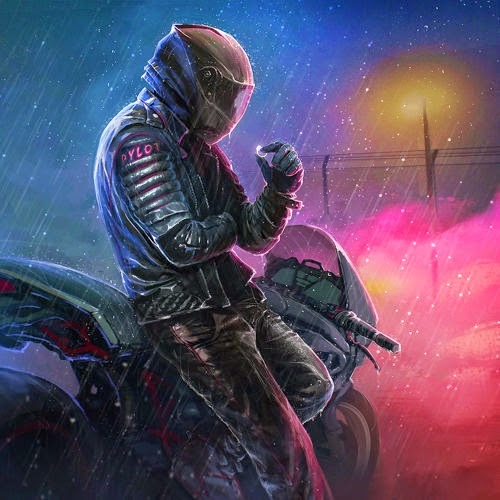 The story of PYLOT is still unfolding before our eyes and ears through amazing music, and another cool aspect is the artwork that accompanies each song too. In the new image we see PYLOT gazing at a ring he found in his jacket. He's still trying to regain his lost identity and piece together his flashbacks into a more complete understanding of who he is. I for one am enamored by PYLOT and I have a feeling that he will become a very big name in electronic music.